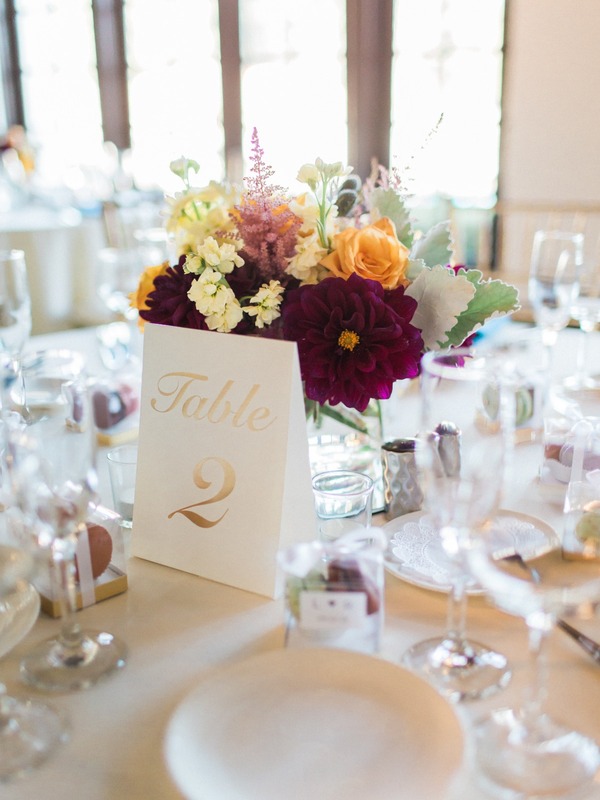 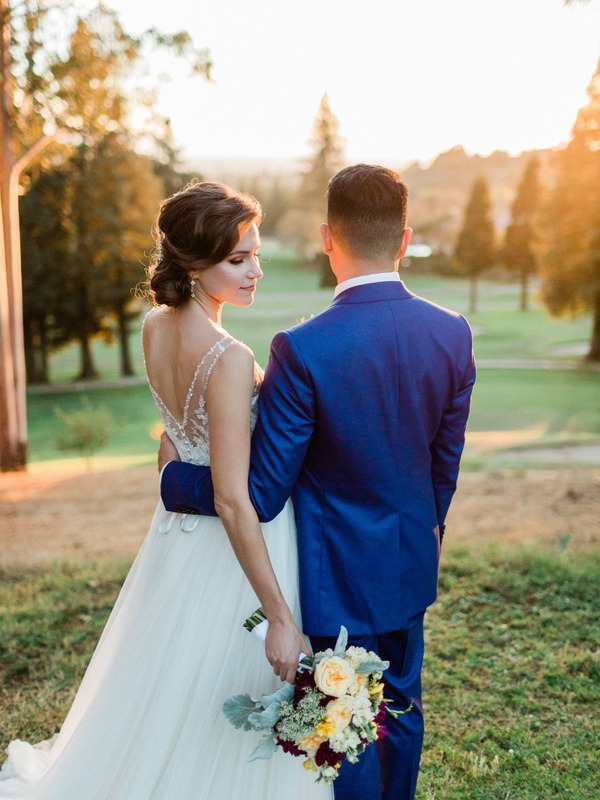 This classic fall wedding at Sequoyah Country Club in Oakland, California was the dream wedding for this next couple. 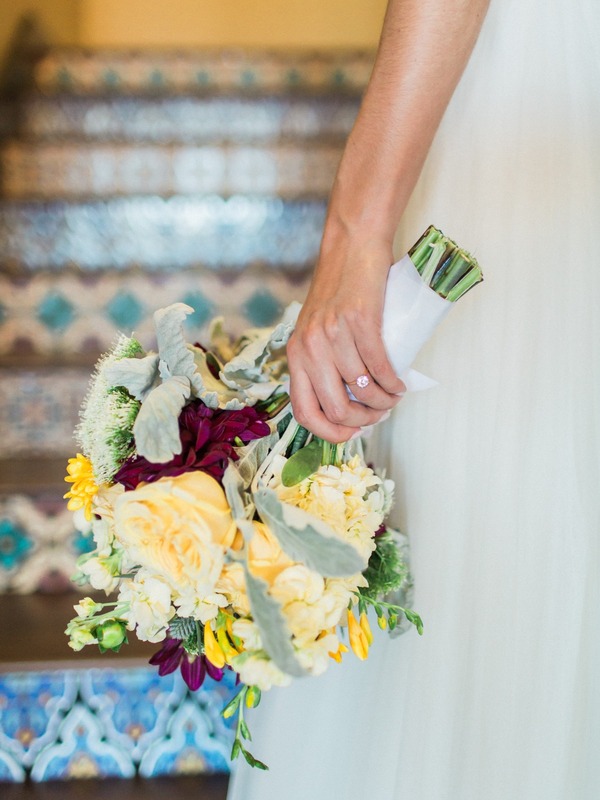 Seasonal garden florals and a bold color palette of blue and gold gave it the right amount of elegance throughout. 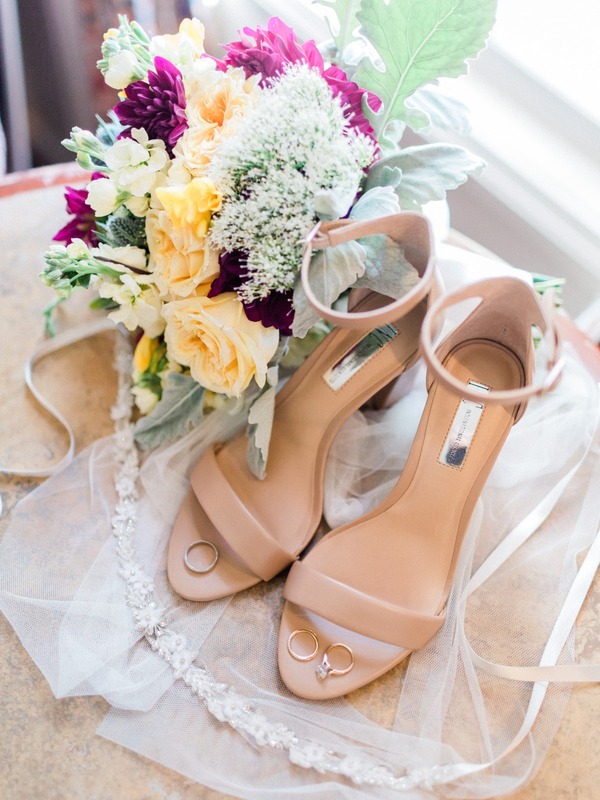 The bridesmaids wore mismatched gold hued gowns from Azazie, while the bride wore a beautiful tulle gown from BHLDN. 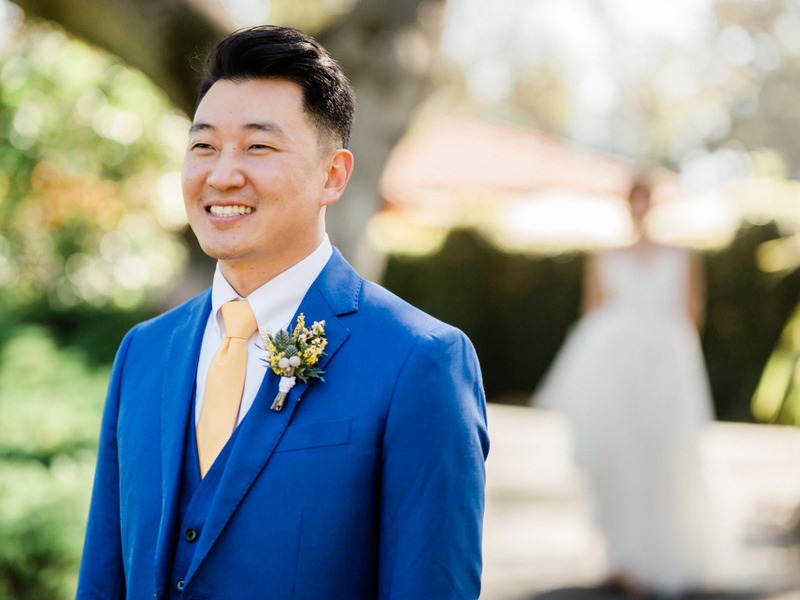 Stylish and sophisticated, catch all the highlights below from Apollo Fotografie and see every last photo in the full gallery. 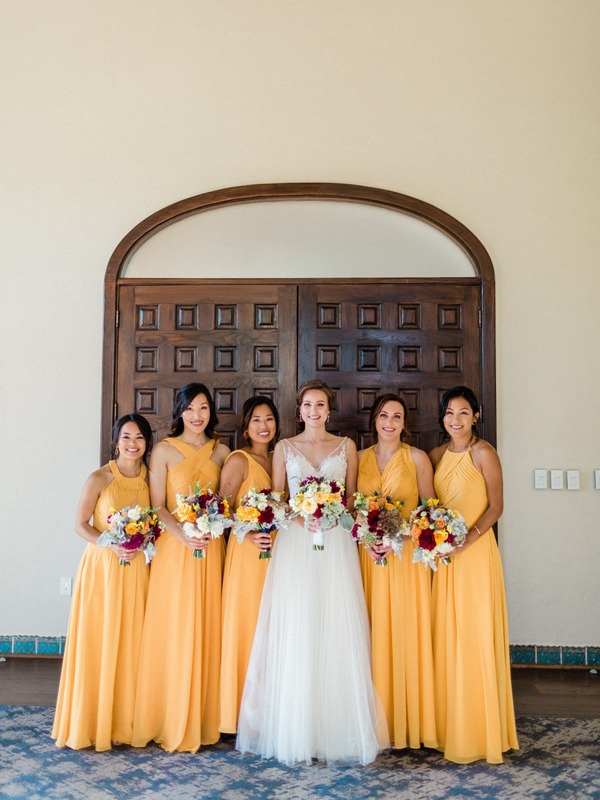 From the bride: The mismatched bridesmaid dresses are marigold from Azazie. 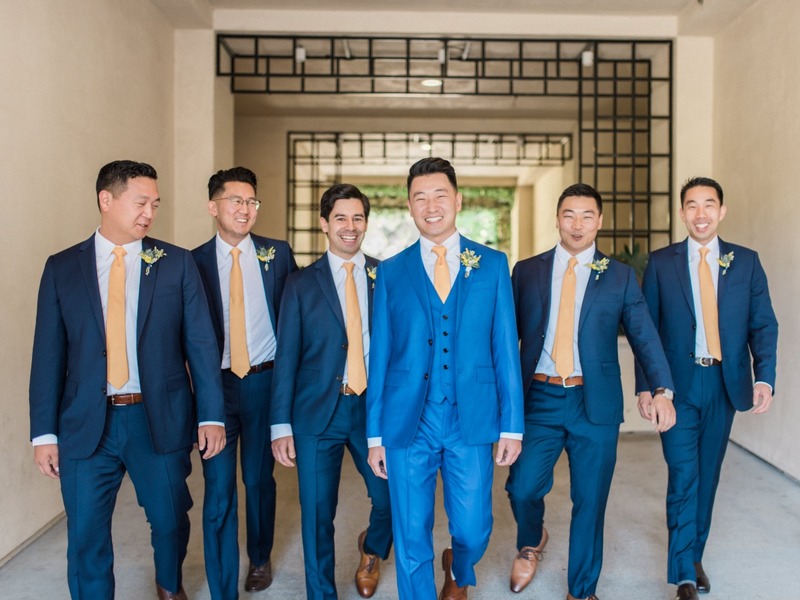 All suits were from Indochino, navy blue for groomsmen, royal blue for groom, and I had the ties match the dresses. 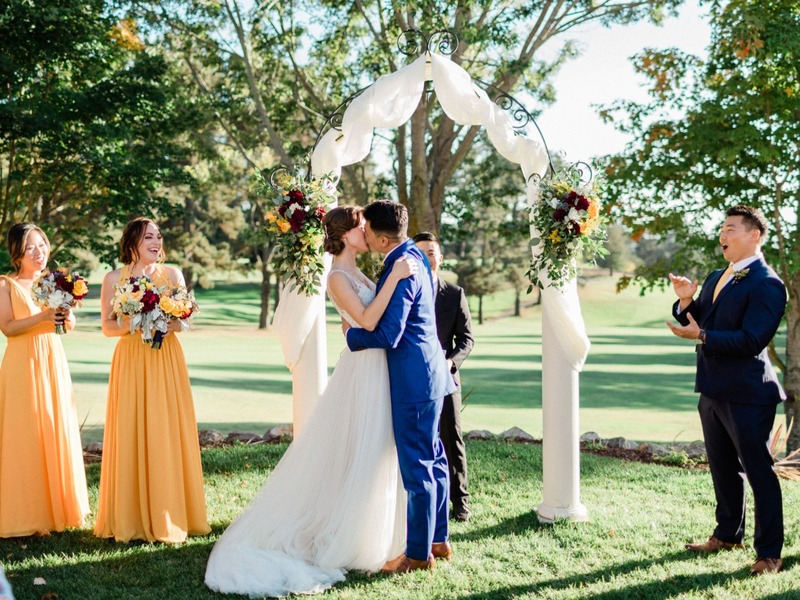 I wanted the bouquets to be garden style with seasonal flowers. 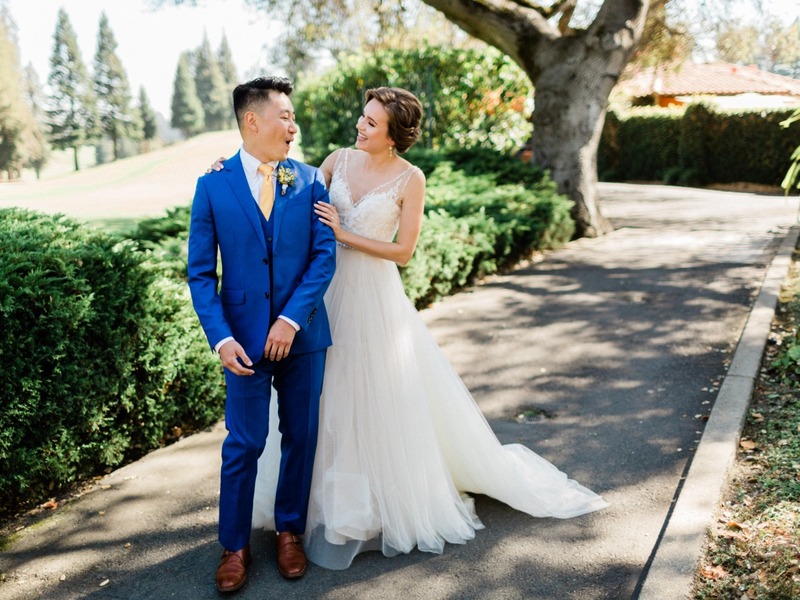 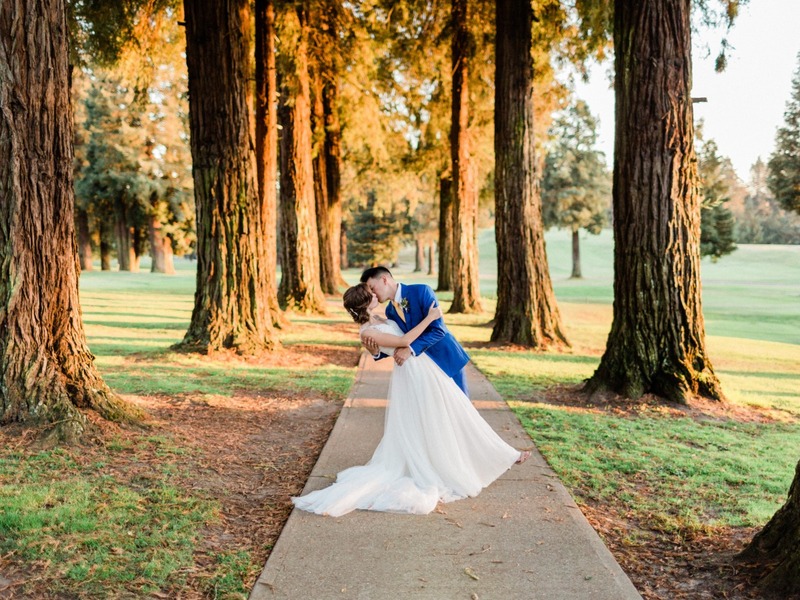 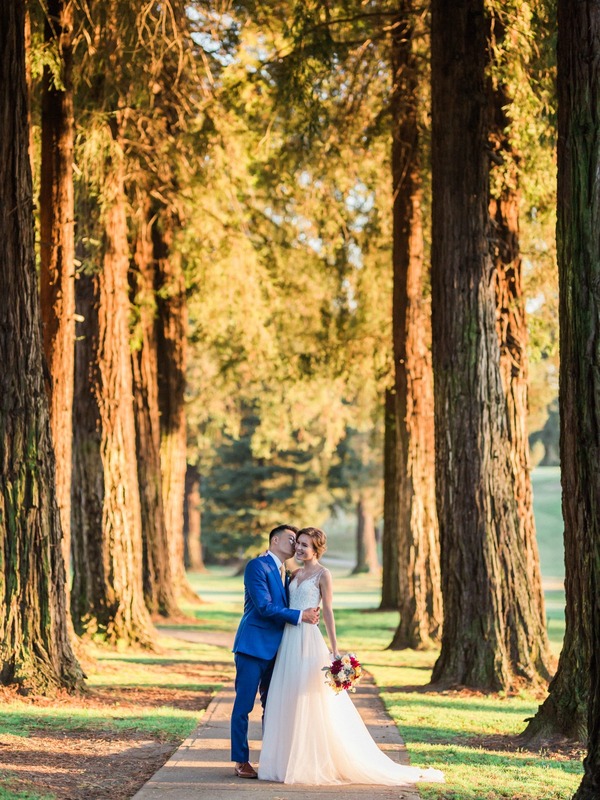 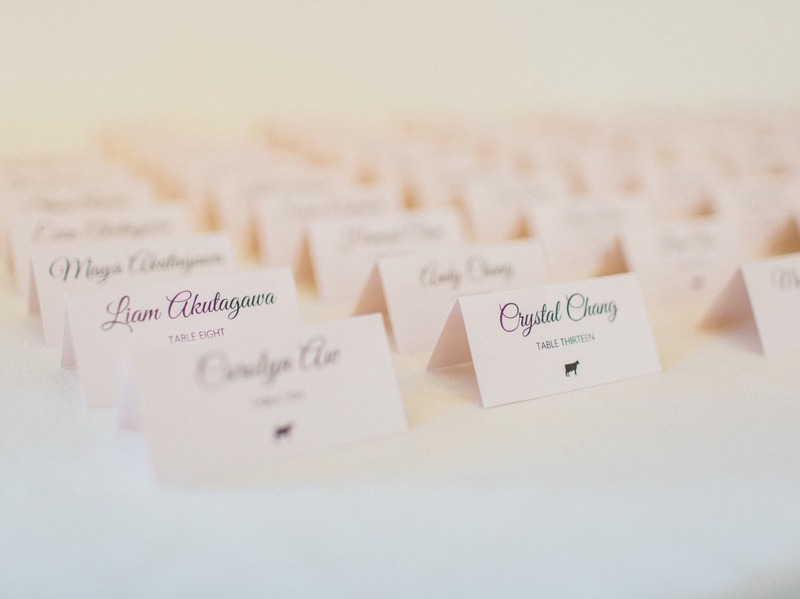 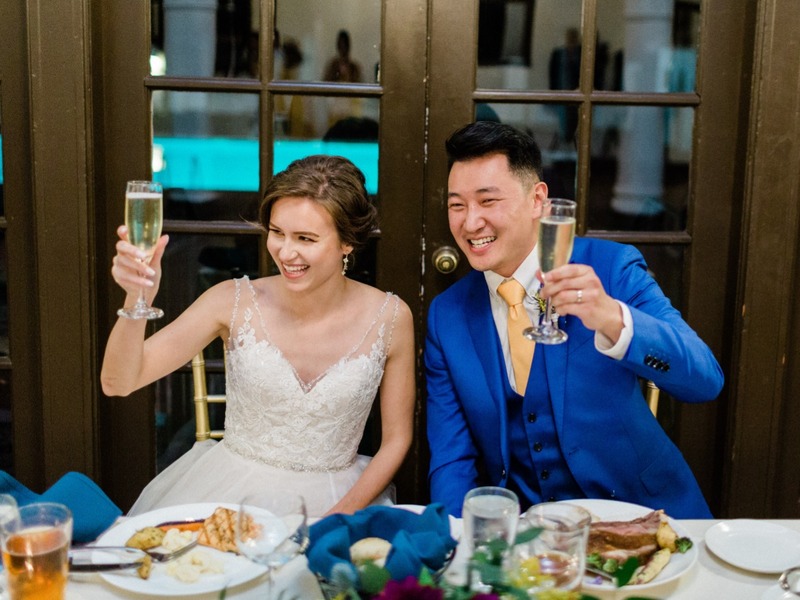 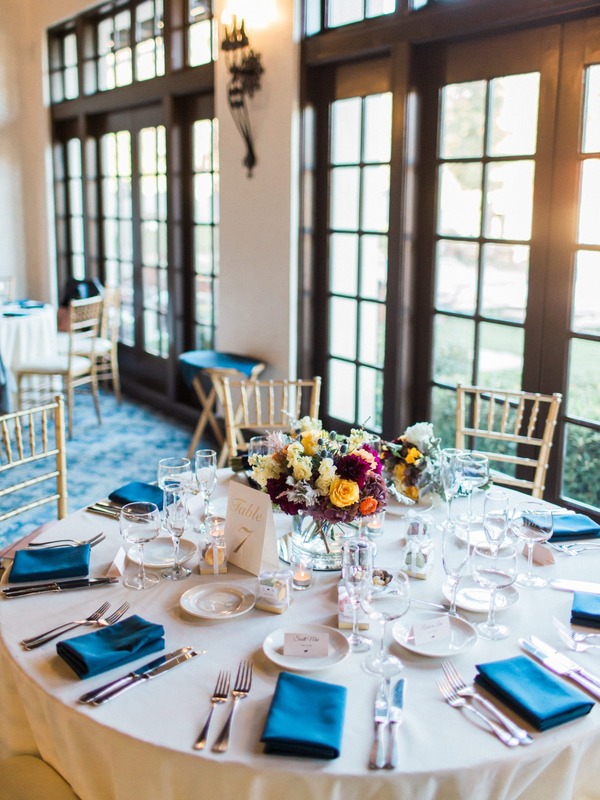 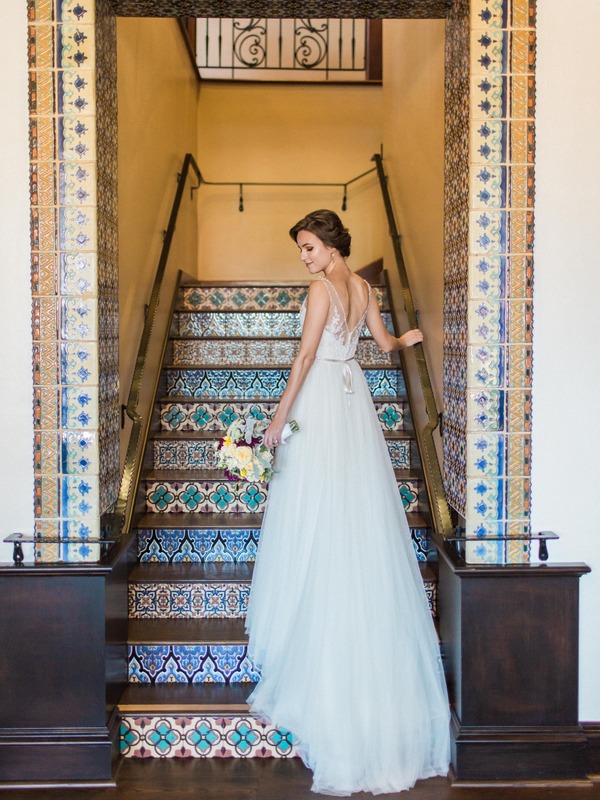 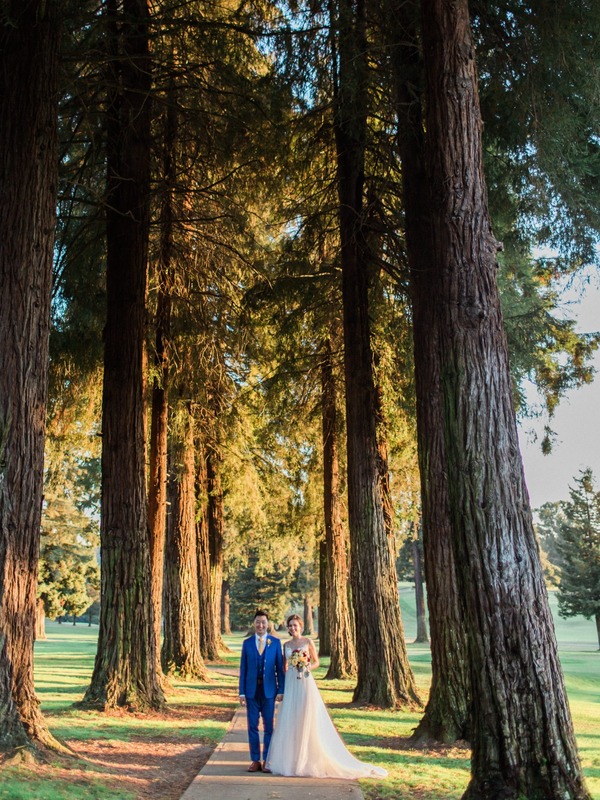 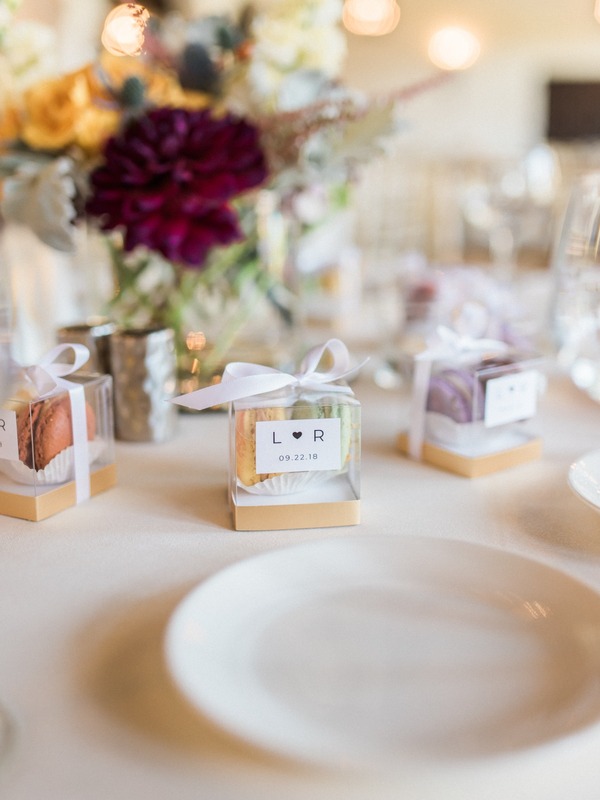 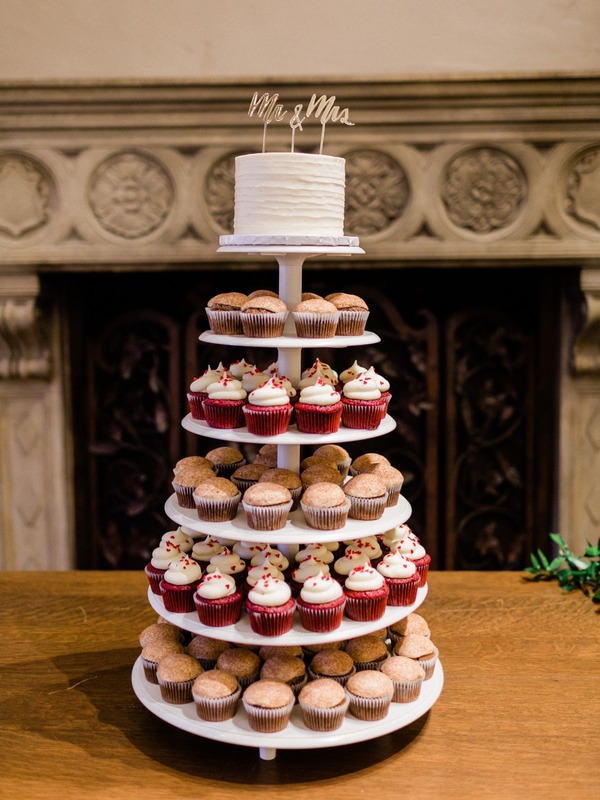 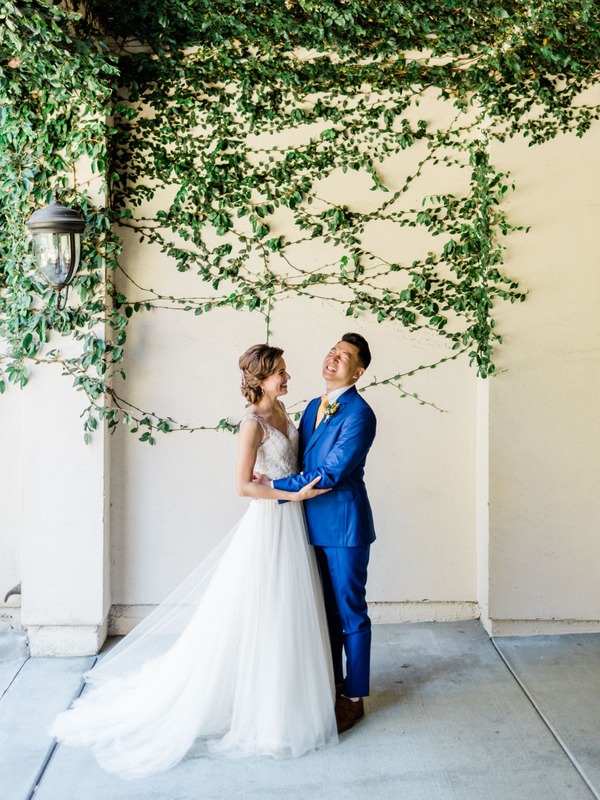 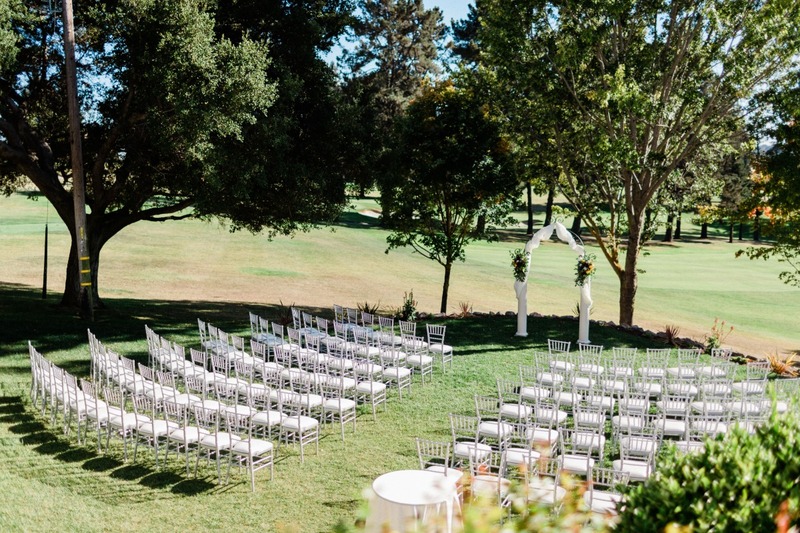 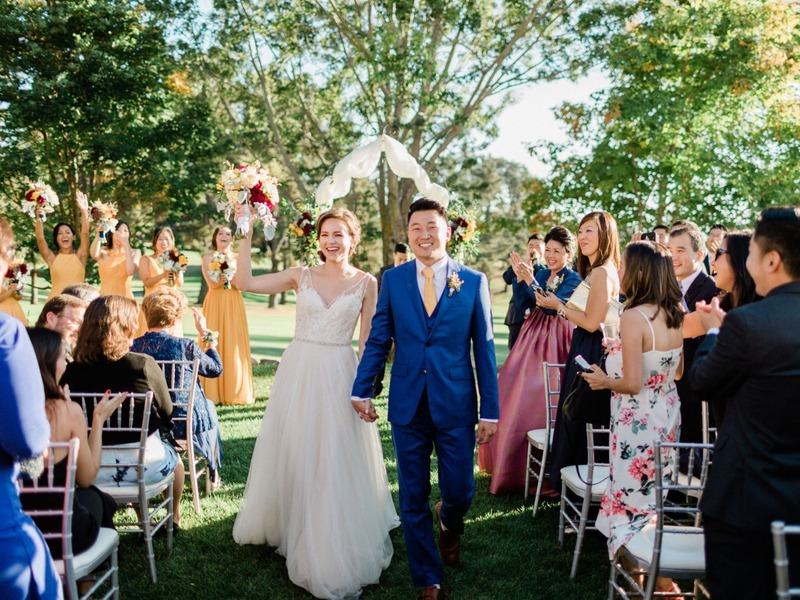 Our venue, Sequoyah Country Club in Oakland, CA was the perfect space for us - it's a beautiful and spacious venue with great views and full catering services. 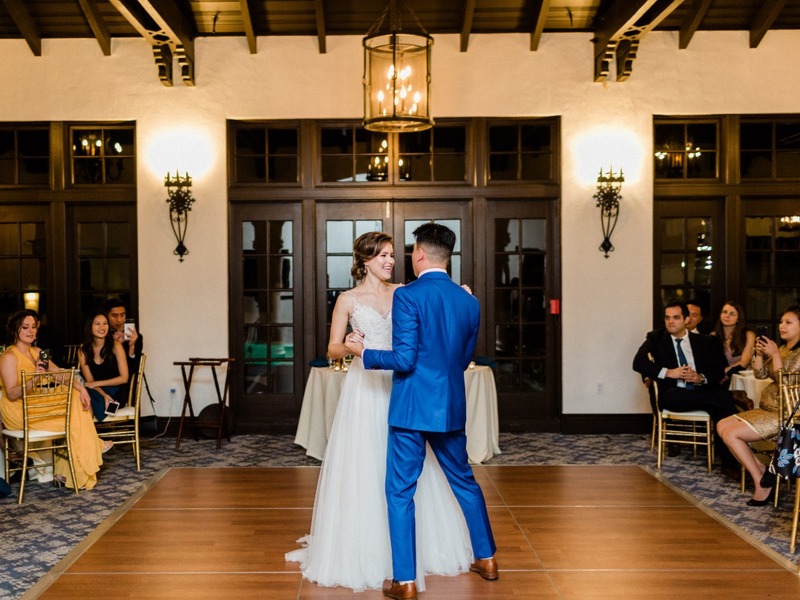 For our wedding we had two bars, a photo booth and a dance floor.